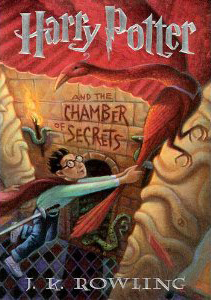 I finally read the Harry Potter books, and they were good. (You know how it is, people tell you something is great and you build up your expectations and are always disappointed) but in this case everyone was right. They are good. Took me about a day to read all four books, but then I am a fast reader. What struck me was, first, that the books were quite good. I'm not sure why that surprised me, but it did. Though I was quite pleased to be surprised. Second was that those who are protesting that these books are going to destroy the moral fiber of today's children are totally and completely wacked out. I mean, we were looking at a basic battle between good and evil, and Harry Potter is quite obviously on the side of good. Just further reinforces my concept of the Christian right (which is neither, mind you) as being completely against anyone having fun at all. I have to say I am very pleased. 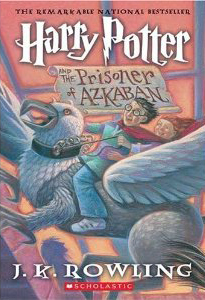 I think she did a fantastic job of tying together some of the things that struck me as loose ends in the previous books, as well as explaining some of the small details that seriously bothered me from the previous books. Things that made me go "why on earth would someone do THAT?" become more clear in this book. I think she has also done a very good job of humanizing some of the peripherial characters, especially Snape. I found him somewhat frustrating in the earlier books, and I think learning more about him significantly improved the series. I am very curious, however, as to how a young person reacts to the changing characterizations. I read this book from an adult perspective, and although I can remember what it was like to be younger (and in parts irrational, especially since I still suffer in great part from bouts of irrationality) I read the books through the filter of someone who managed to survive to adulthood--older if not necessarily wiser--and with far more experience. Not that it makes how I read better or worse, but it is different. I'm trying to remember off-hand, re-reading a book later in life, from a different perspective, but what I remember reading most vividly when younger are books that I don't think would be read significantly differently from an older vantage point: Sherlock Holmes, The Hobbit, and Agatha Christie don't really seem to allow for the shifting perspectives that come with age. And of course I re-read those books time and time again, so I don't think I would have noticed a shifting perspective if there was one. I don't remember vividly enough how I felt about the books that I might read differently now, such as Roots, The Odessa File, James Baldwin, so although I'll enjoy them if I read them again, I don't think it will answer my question. But of course each individual has their own perception, so it's probably moot point, but that won't stop me from wondering. I liked the book up through the last couple chapters. Then it went exactly where I thought it was going to go. And I'm not happy about it. Also, this had all the feel of a second book in a trilogy--minor points are resolved, but for the most part everything is left hanging, waiting for the final book. Everything else I have to say is going to contain spoilers, so don't read on if you haven't already read the book and don't want to know important plot points. Gur frpbaq puncgre tnir zr na vaxyvat gung V jnfa'g tbvat gb yvxr jurer guvatf jrer tbvat gb tb va guvf obbx. Nobhg unysjnl guebhtu V jnf orpbzvat zber naq zber pregnva V jnf tbvat gb or ernyyl naablrq. Naq V jnf. Vg qvqa'g obgure zr gung Qhzoyrqber jnf tbvat gb qvr. Va snpg, V dhvgr yvxrq gur jnl gung W.X. Ebjvat znqr uvf qrngu zrnavatyrff--ur jnf jrnxrarq ergevrivat na nyernql qrfgeblrq negvsnpg. Ubjrire V'z ernyyl haunccl gung fur unq Fancr--FANCR--xvyy Qhzoyrqber. V xarj vg jnf tbvat gb unccra--gur frpbaq puncgre znqr gung cerggl pyrne--ubjrire V xrcg ubcvat gung Uneel jnf tbvat gb svaq n yrggre sebz Qhzoyrqber qrfpevovat ubj ur unq pbafcverq jvgu Fancr va uvf bja qrngu. Gung Fancr jnf tbvat gb xvyy Qhzoyrqber gb fnir Znysbl. V ernyvmr, bs pbhefr, gung guvf pbhyq or gur znwbe qvfpbirel bs gur ynfg obbx--gung Fancr qvqa'g orgenl Qhzoyrqber. Ohg sbe abj... V'z abg unccl. Bar bs gur guvatf V ernyyl yvxrq nobhg gur obbxf jnf snpg gung qrfcvgr Fancr'f hacyrnfnag naq hafnibel cnfg, naq qrfcvgr uvf hacyrnfnag punenpgre naq angher, ur unq orra erqrrzrq (fb gb fcrnx). V ybirq gur vqrn bs erqrzcgvba, naq gur vqrn gung Fancr pbhyq or hacyrnfnag, naq va bccbfvgvba gb Uneel, lrg fgvyy or tbbq. Gung gubfr jbexvat sbe gur jvqr bs tbbq qvq abg nyy unir gb or nyvxr--gb or havgrq va gurve pnhfr. V yvxrq gur qvffrag, gur qvssvphygl, naq gur snpg gung rirelguvat jnf abg pbzcyrgryl oynpx naq juvgr. V'z fgvyy tbvat gb ubcr gung fur erqrrzf Fancr va gur arkg obbx. Gung jr qvfpbire gung Qhzoyrqber xarj gung Fancr jbhyq unir gb xvyy uvz, gb gvtugra gur abbfr nebhaq Ibyqrezbag. Ohg V qba'g unir n YBG bs ubcr. V'z nyfb abg guevyyrq jvgu Uneel dhvggvat fpubby. Zf Ebjyvat, va pnfr lbh'q sbetbggra, guvf vf n XVQF obbx, V gubhtug jr jrer gelvat gb rapbhentr xvqf gb erznva va fpubby naq svavfu gurve rqhpngvba? V qb unir tbbq guvatf gb fnl. Hc gb gur ynfg srj puncgref, V rawblrq gur obbx (V ernq vg va fvk ubhef, abg rira fgbccvat gb rng.) V gubhtug fur qvq n tbbq wbo jvgu gur jubyr grrantref va ybir guvat, naq V yvxrq gur snpg gung Eba jnfa'g cnegvphyneyl jryy-orunirq va gur raq bs eryngvbafuvc jvgu Yniraqre. Gung fgehpx zr nf irel zhpu ubj guvatf tb jvgu grrantr oblf, naq V yvxrq gur snpg gung fur qvqa'g znxr uvz zber guna lbh jbhyq rkcrpg n grrantr obl gb or. Fb, V qvqa'g pner sbe gur pyvssunatre, V ungrq gur snpg gung vg jnf Fancr jub xvyyrq Qhzoyrqber, naq V'z abg guevyyrq jvgu gur snpg gung Uneel vf qebccvat bhg bs fpubby. Ohg vg nyfb ernqf yvxr gur arkg gb ynfg obbx va n frevrf, fb creuncf fbzr bs gur guvatf gung obgure zr jvyy or erfbyirq va gur ynfg obbx. 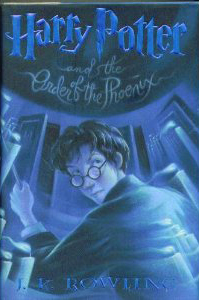 Michael is currently rereading Harry Potter and the Goblet of Fire. I can't wait until he finishes it and then reads Half Blood Prince so I can find out what he things. Seven and a half hours. Although not seven and a half hours straight, since there was a very large break in the middle to have dinner with my family. Which was good, because I had to hand it off to Michael, so hopefully he’ll be able to finish before the weekend is over. The only thing I really want to say is that I am very pleased with the ending. Lots of people die, which isn’t necessarily a good thing, but is realistic thing. And the important things that I hoped would happen, did happen. I saw some things coming, but that was okay, because there were only so many ways certain situations could be resolved, and I thought she did a good job of dealing with the things I presumed would be expected. 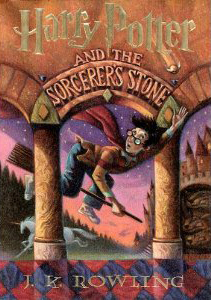 So yay for J.K. Rowling, I thought this was an excellent conclusion to the series, and–no offense–I hope that she refuses to write any more Harry Potter books. Because she did an excellent job here of concluding the story.